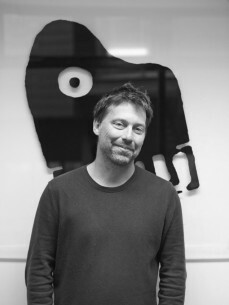 Kenny Gates is the co-founder of [PIAS], one of the world’s leading independent music companies. in 1981 passionate music fan Kenny, then 17 years old, met his future business partner Michel Lambot at Michel’s Brussels based record store ‘Casablanca Moon’, which specialized in selling records from independent labels. In 1982 the store closed and Kenny and Michel teamed up to launch a music import company, which became ‘Play It Again Sam’. Play It Again Sam, which was originally based in the basement of Kenny’s parent’s house, started importing records from UK independent labels and quickly evolved from being simply an importer/wholesaler to becoming a hugely successful record company and distributor offering a wide range of services to third party labels including promotion and marketing. Over the intervening 35 years, [PIAS] has remained proudly independent and has grown to become an international music company with a flourishing label culture at its heart while offering distribution, label services, music publishing, live music nights and much more. The company now has offices in every major music market around the world and has almost 300 employees. [PIAS] owns the imprints Play It Again Sam , Different , Harmonia Mundi and [PIAS] recordings or ‘Le Label’ for local European labels. It has partnered up with the following labels : Bella Union, Heavenly, Transgressive, Mute, Phantasy, 37 adventures, 1965 recordings, Infectious, ATO, Sunday Best, Wichita and DFA. [PIAS] also distributes labels such as Beggars Group - including 4AD, Rough Trade, Matador and XL – Ignition, Union Square, Nuclear Blast, Ninja, Infectious, Ipecac, Ace, Warp, Domino and Secretly Canadian among many others.